Gentle cleansing emulsion and make-up remover. Cleans and nourishes, suitable for all skin types. 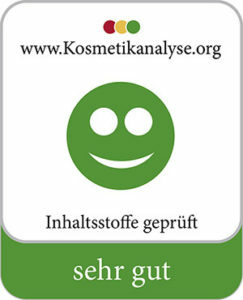 Please click on the seal of approval of the cosmetic analysis (below). 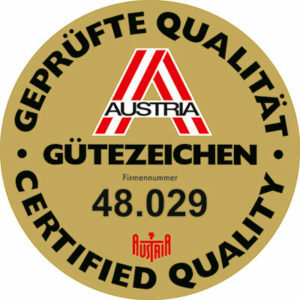 You will receive all detailed information about our ingredients! Ingredients: ROSA DAMASCENA FLOWER WATER, AQUA, PRUNUS AMYGDALUS DULCIS OIL, ALOE BARBADENSIS LEAF JUICE, GLYCERIN, POLYGLYCERYL-3 DICITRATE/STEARATE, SIMMONDSIA CHINENSIS (JOJOBA) SEED OIL, COCOS NUCIFERA OIL, BETAINE, BUTYROSPERMUM PARKII (SHEA) BUTTER, STEARYL ALCOHOL, CETYL ALCOHOL, CITRIC ACID, POTASSIUM SORBATE, TOCOPHEROL, CITRUS AURANTIFOLIA PEEL EXTRACT, LIMONENE, XANTHAN GUM, HELIANTHUS ANNUUS SEED OIL, CITRONELLOL, PELARGONIUM GRAVEOLENS FLOWER OIL, POLYGLYCERYL-4 CAPRATE, SODIUM BENZOATE, GERANIOL, SODIUM LACTATE, SODIUM SULFITE, CITRAL.